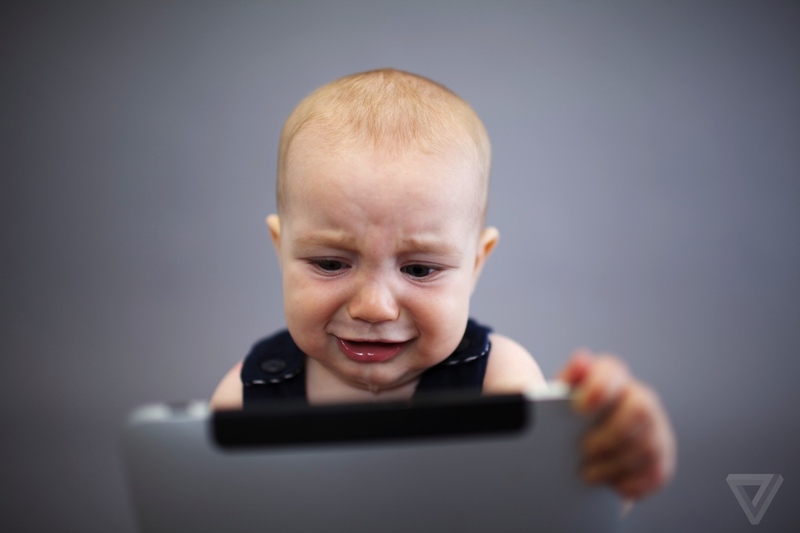 More than one-third of babies are interacting with touchscreen tablets and smartphones before they are able to crawl, walk and talk. Specifically, 36 percent of children have experience with touching or scrolling before age one, with 15 percent using apps by the same age, according to the Einstein Medical Center's pediatrics department. Mobile technology becomes more common place, and while there are plenty of educational apps available, researchers are most concerned about children from zero-to-two years old. It's a critical time for brain development, in which human interaction is absolutely vital. "On the one hand, we have lots of experience with television, and we know that it has some pitfalls and some dangers for children in terms of their educational learning," said Laura Jana, an Omaha-based pediatrician, in a statement to CBS News. "Some benefits as well. Mobile devices, when we're talking about screens and things, are so new that this is a really important survey that has given us some initial information about just how prevalent the use is in very young ages." More than 25 percent of children by age two are using mobile devices for at least 30 minutes per day, with TV viewing and video game usage also increasing.